DEEP CATACOMBS - Let's say you just read something in The Neopian Times, and you want to give the author your opinion of their work. Whether you loved or hated it, you need to use something I like to call "Neomail Etiquette" to get a response. First, be sure to read the person's entire article, comic, short story, or chapter of their continued series before you ask any questions or give criticism, because most of the time your answer is right in their work already. Also, look at their user lookup (Type their name into the "Search" bar on the yellow Neopets bar and click "Go! "), because a lot of times they specify if they don't want guild invitations, Battledome challengers, Neofriend requests, and even all Neomail. Sometimes, they're under 13 and can't send or receive Neomail--so check before you type up a letter. In case you don't know what Neomail is, it's the Neopets version of e-mail. 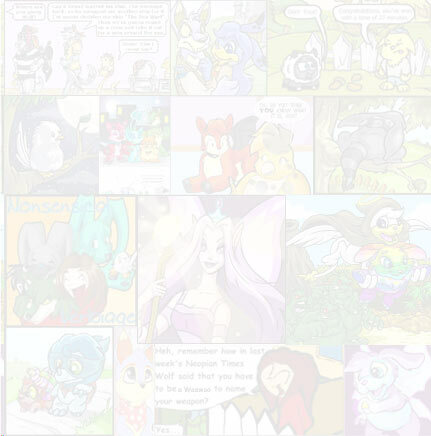 In fact, there's a whole section dedicated on the Neopets yellow navigation bar. You can send, reply, delete, or print out and fold into a paper airplane all Neomails... just kidding! It's a way of communicating through almost every active Neopets member. You just type in the user name of the person you want to, choose a subject, type your message, and presto--they receive it instantly. If you want to talk to someone about anything, you can just Neomail them. If you liked what a person wrote in The Neopian Times, if you admire one of their Neopets' Web pages, if they recently won something and you want to congratulate them--but they're a total stranger--then you're obviously sort of shy about sending them a Neomail, especially if you almost never send Neomails. There are only general rules and knowledge for sending and receiving/responding to Neomails, so I've written up a handy guide for you. For most of this article's examples, I'm going to use The Neopian Times. If you liked something they wrote, for example, then you have to clearly state that you liked it. Type with correct punctuation, spelling, and don't use l33t or other chatspeaks. Something like, "Hi! I read your ___ in The Neopian Times, and I thought it was awesome" will do. Some users get a lot of Neomail, so they may not give a reply. If you want a response, try to include a question like "Are you sending in anything else to The Neopian Times soon? ", and they'll be more likely to Neomail back. Or maybe you're angry with someone about what they wrote, and don't agree with them. I can tell you without a doubt that if you are rude, or insult the person instead of their work, you'll almost definitely not get a reply. Instead, think about your argument and try to produce a thoughtful Neomail with ways they can improve. For example, "I hated your article about how Shoyrus are overrated. You're stupid!" is completely lame, but "I read your article about how 'Shoyrus are too popular for no reason', and I disagree. I have a Shoyru, and I think they're absolutely adorable. There are a lot of games and stuff based on other pets--and besides, there's hardly any Shoyru merchandise! Can you please reconsider making fun of popular pets in the future?" is much more likely to be taken seriously. After my story "Battle For Neopia: The Chia-Lupe Debate," I got a lot of Neomail from both Chia and Lupe lovers about how I bashed Chias too much. But what really upset me was that most people just criticised me, not my story, so I hardly bothered replying to some Neomails. The most important thing to remember is to try to think of how you'd feel to get the Neomail you're about to send someone. Would you think it's just a simple compliment, or a more-preferable piece of fan mail? Would you like your story to be nitpicked, dissected, and criticised? Would you bother replying to the Neomail? Try to incorporate this into your Neomail. Asking for one of their pets to be one of my pets' mates--once, when I politely declined (species and age difference; besides, I think all pets are too young to date), they went so far as to call my pet ugly. I immediately added the user to my block list. Asking for me to join their guild, when I specified in my user lookup that I wasn't interested in guilds at the time. Once, I asked the "guild-beggar" how they got my username, and they said "from your thing in The Neopian Times." When I asked them if they liked it or not, they confessed to not even reading it. Not block-worthy, but I haven't talked to them since. Challenging one of my younger pets to fight when I had put in my pets' lookups that they're pacifists. 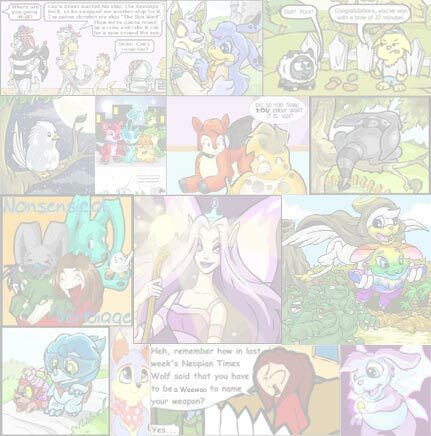 Inquiring about simple questions answered in the Neopets HTML guide, the Editorial, or even in the "Help" section. The most common one was "How do you send something into The Neopian Times?" and I'd always answer, but I can't remember ever getting a thank-you. Saying that the prices in my shop are too high. Sometimes they're by mistake, but once when I had about 20 codestones in my shop (trying to clear out my Safety Deposit Box), someone asked me to lower the price to 1,000 Neopoints and they'd buy them all. Of course, I didn't. And the list goes on. However, awhile back I received a Neomail from golden_lamia saying how wonderful my story was, and we found that we had a lot of the same interests. We've been friends ever since. So, really, compliments are remembered. 1. Identify the type. Hate mail, beggar mail, complementary, and questioning are just a few categories. 2. Decide whether or not to reply. If someone Neomails you asking something offensive or especially hurtful, e-mail abuse@neopets.com right away and block the user. If it's someone sending a guild invitation or Battledome request you're not interested in, just delete it. But if someone points out an error you made in a petpage, Neopian Times piece, poem, or whatever, just give a light-hearted reply (You can simply say, "Oh, thanks--it must have just been an error I missed when I proof-read the story. I'll try to be more careful next time."). 3. If you choose to, reply. Always try to respond to complementary mail, and if someone has an easily-answered question, direct them to where they can get the answer (Example: "On the main poetry page linked from Pet Central, it tells you how to enter a poem."). 4. For complimentary mail, try to give a compliment back ("I'm so glad you liked my pet's page! I love your lookup!") or simply say "Thanks." You don't have to say "Thank you for saying 'you're welcome'". If they say "You're welcome" or vice versa; I've tried it before and it gets tiring. If someone sends you a Neofriend request, but doesn't send a message for about a week or so afterwards, just delete it. And delete Neofriends that you haven't talked to in about 4-6 months. For Neomail, you can only store 100 messages at a time or you can't receive Neomail, because Neopets' servers get slowed down with too many old Neomails otherwise. My policy is that I delete a Neomail after two weeks, even if I replied and the person hasn't responded yet. If you get few Neomails, you can create different folders, such as "New," "Waiting For Replies" and "Old Mail" and shift and delete Neomails every month or so. However, if you're a packrat, you'll want to save each and every Neomail. My suggestion is to only keep the most important ones, and store them (according to their "received" date) in your Neodiary, accessible through the "Neomail" part of the yellow sidebar. Well, I hope my tips have helped you. Feel free to Neomail me (with the tips above) if you have a question or suggestion. If you're under 13, you need your parents to sign a release form (Accessible from most pages that say "This page is unavailable because you don't have parental permission to play Neopets."). If you want to chat and send Neomail. My sister is under 13, but she's perfectly fine living without Neomail. Most of the time, I just think it's because she's little. But sometimes, I really do envy that she doesn't have the hassle.